Kampong Speu provincial court yesterday charged a 51-year-old farmer with beating his wife and locking her in his house because she did not give him $2.50 to buy rice wine. 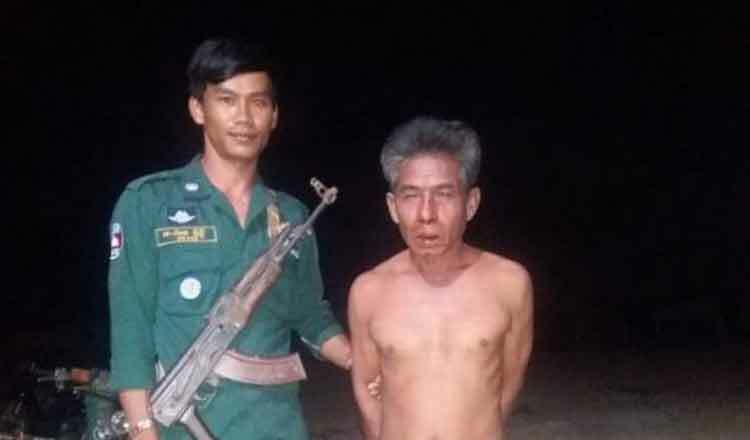 The violence took place at about 6pm on Tuesday at the accused’s house in Kork Veay village in Kampong Speu province’s Oudong district. Provincial penal police officer Major Mao Seng named the husband as Bun Chan, 51. Mr Chan was charged by the provincial court prosecutor with violence committed by a spouse or partner. He faces between two and five years in jail if convicted and has been sent to prison pending his trial. Captain Nhanh Choum, chief of staff at Oudong district police, said the accused, who was a drunkard, arrived home after drinking rice wine with friends in the commune. He asked his wife for $2.50 to buy more rice wine to drink with his friends. She did not give it to him because he was already drunk. They began arguing and Mr Chan allegedly beat his wife and locked her in a room for more than three hours. Their children were away working as garment workers in Ang Snuol district in Kampong Speu province, Cap Choum noted. “After beating her, he locked her inside the house for many hours,” he added. While the victim was locked in the house, she shouted for help from the neighbours. However, the neighbours dared not enter to intervene because the accused was sitting in front of the house holding a knife. They were afraid he would hack them. Police arrested him at about 9.30pm after the neighbours alerted the commune police. After his arrest, police confiscated the knife, a cleaver and an axe from him. They also rescued the victim who later sought a divorce from the accused.